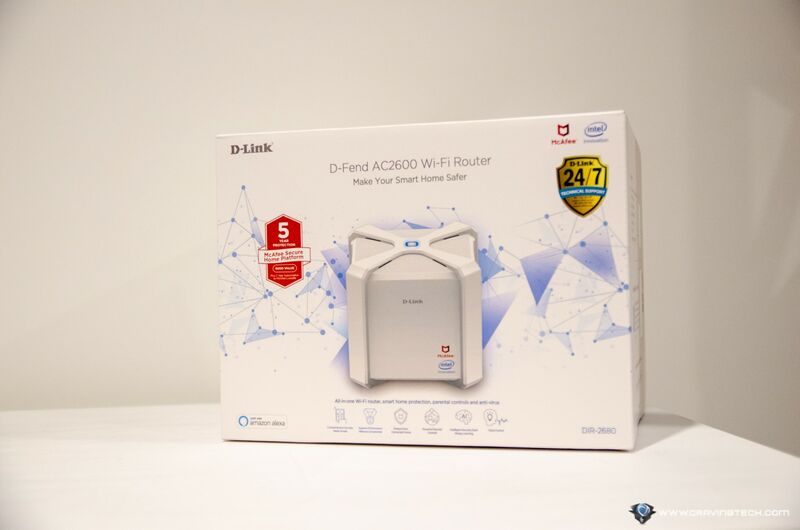 D-Link D-Fend AC2600 Wi-Fi Router (DIR-2680) Review – When two big brands are collaborating together, you know it will be big. 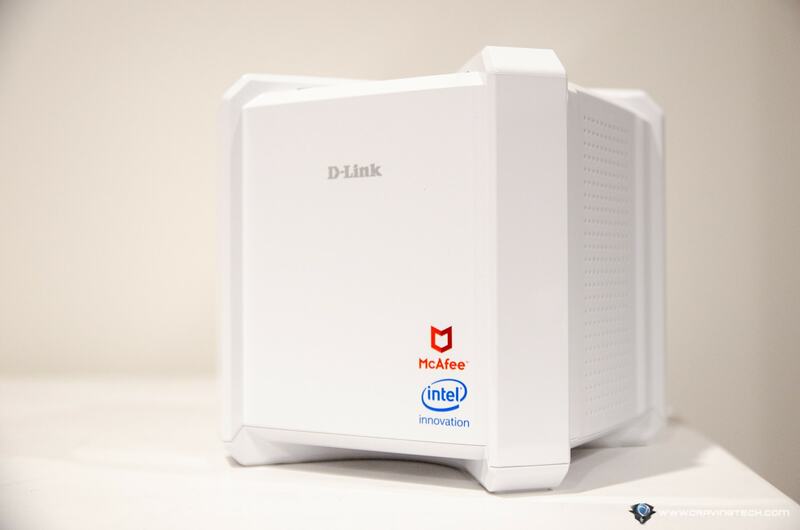 McAfee & D-Link are working together to make this powerful wireless router with built-in securities that you’d want to have in the house. D-Link D-Fend AC2600 Wi-Fi Router is not just another wireless router. It’s a router with one of the most advanced parental controls and securities built in I’ve ever reviewed. It doesn’t just offer performance and convenience in connectivity, but security for the whole family. 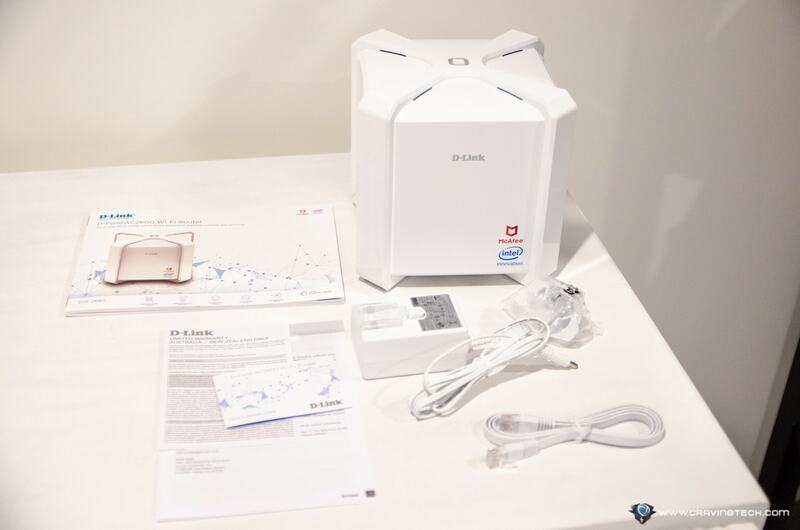 D-Link D-Fend router has a unique and quite appealing design. 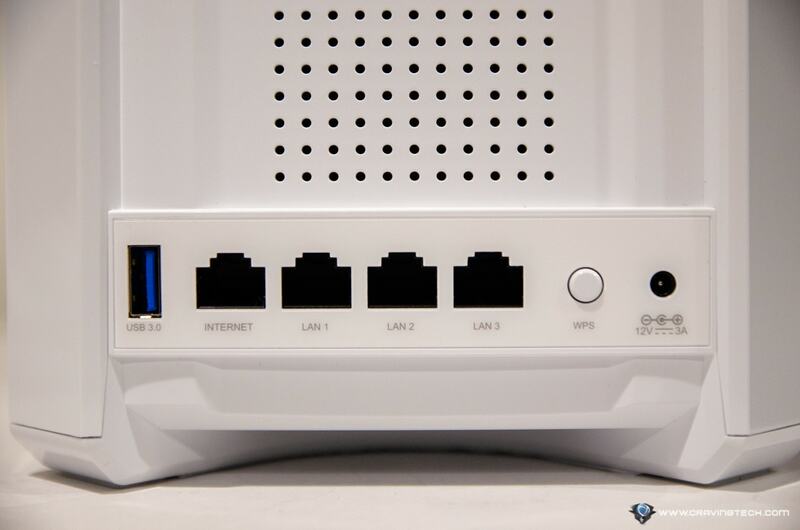 It looks like a secure crate in white and thankfully, doesn’t take up space on the cabinet compared to the traditional, wider spider-looking routers). The power button is located on top and all ports/connections are on the back of the unit. Specs wise, D-Link D-Fend router is a dual-band router offering 2,533 Mbps (800Mbps at 2.4GHz & 1733Mbps at 5GHz) with MU-MIMO technology, Smart Beamforming & Smart Connect (i.e automatically connect your device to either 2.4GHz or 5GHz channel automatically with the same SSID). At the back of the router, there is 1 WAN port (for internet connection, like NBN) and 3 Gigabit LAN ports. There’s also a USB port for you to connect a NAS or other external devices. 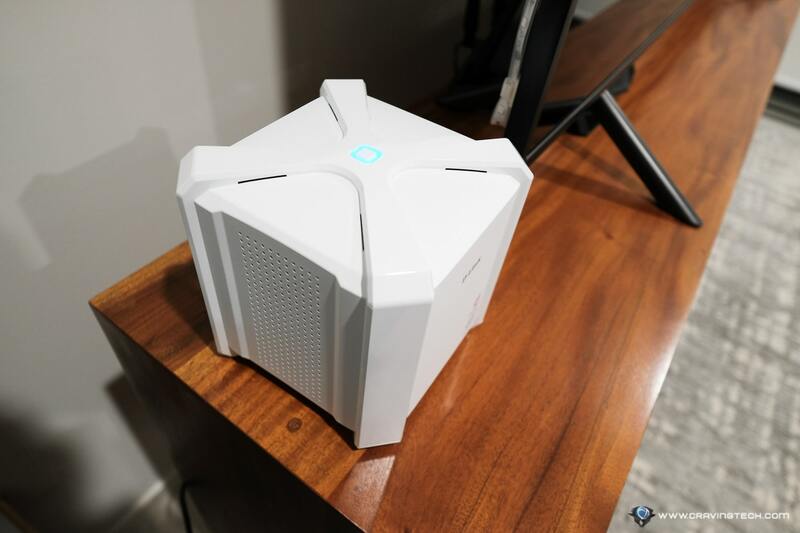 So far so good, and obviously overall performance on paper is not as powerful as other D-Link’s powerful routers like the COBRA, but D-Fend comes with other perks. Signal strength wise, it’s pretty good even though I was told that this is supposed to be a mid-range router. Using Wi-Fi Signal app on the 2.4GHz channel, I get an 80% (the higher the better) with Signal Strength of -50dBm and 273.78 Mbps Wi-Fi speed; compared to the NETGEAR XR500‘s 72% with -56dBm Signal Strength and 304.20 Mbps Wi-Fi speed. With Smart Connect, the router monitors and decides which channel it’ll hook your device onto. When I take my iPhone upstairs, the router forces it to connect to the 2.4GHz due to the weaker signal on 5GHz, but my Apple TV next to the TV downstairs is always on the 5GHz. With on-going threats and nasty surprises making their ways online to our devices and computers, no one is ever safe. 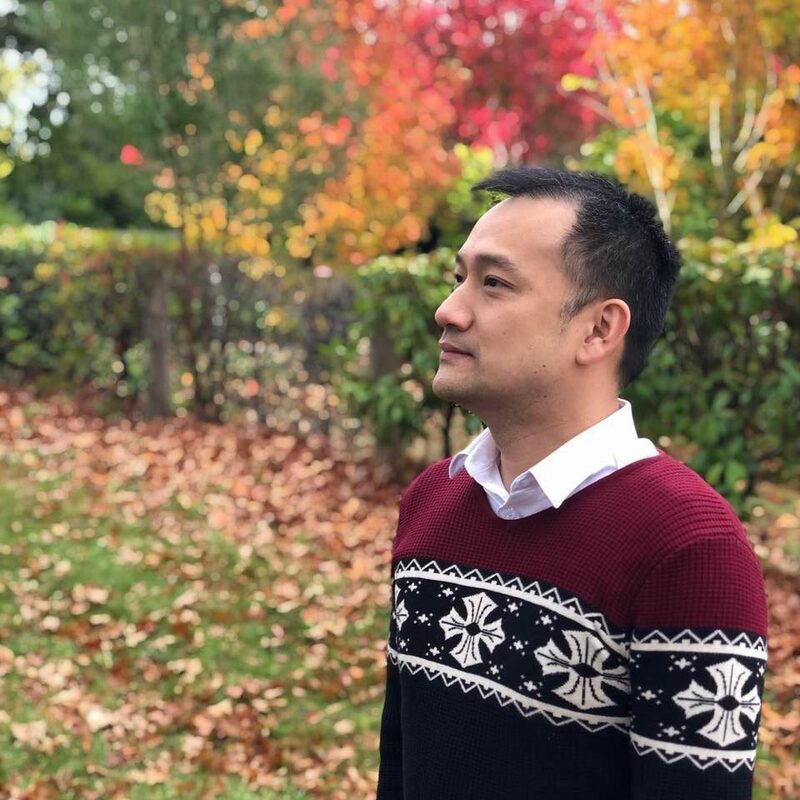 We constantly have to be aware of what’s going on, and can easily become a victim of scammers, viruses, or even BitCoin mining bots (which is quite popular these days). Thankfully, all these will have to funnel into a single point: your router. It’s like the front door of the house. Therefore, there’s nothing better than actually securing this single point of entry before the nasty surprises get into your network and devices. 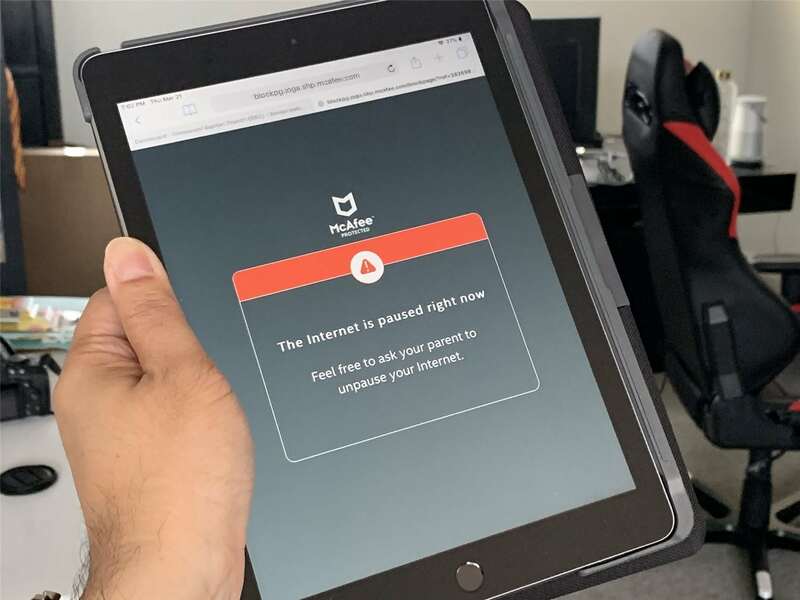 The D-Fend router protects all devices in the network from threats and malware alike with McAfee Secure Home Platform (5-years free complimentary license on purchasing D-Fend router). You can also install McAfee Live Safe antivirus on your devices as an extra layer (2-years free complimentary license on unlimited devices). 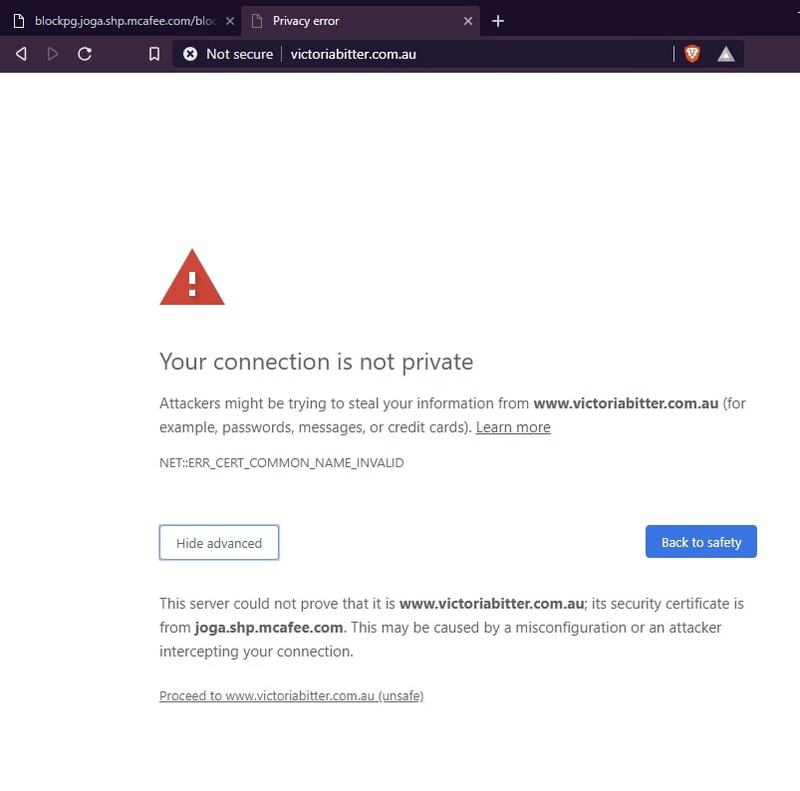 During the launch demo, I saw how a BitCoin mining bot software got detected and blocked by the router, and when someone accidentally clicked on a dodgy link in an email. If you have many family members living together in the house, you’d definitely be grateful having the D-Fend router around. 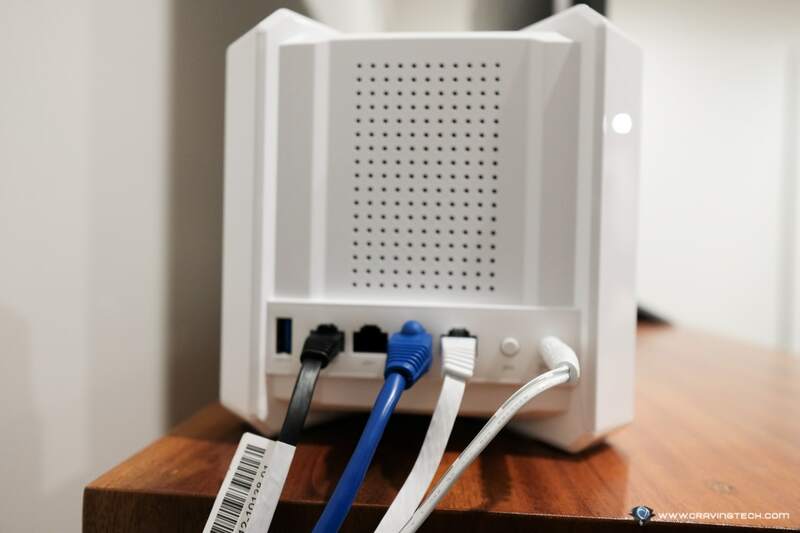 You can also identify each wireless device that connects to the router, making sure that each device is accounted for and no one is piggybacking your Wi-Fi. 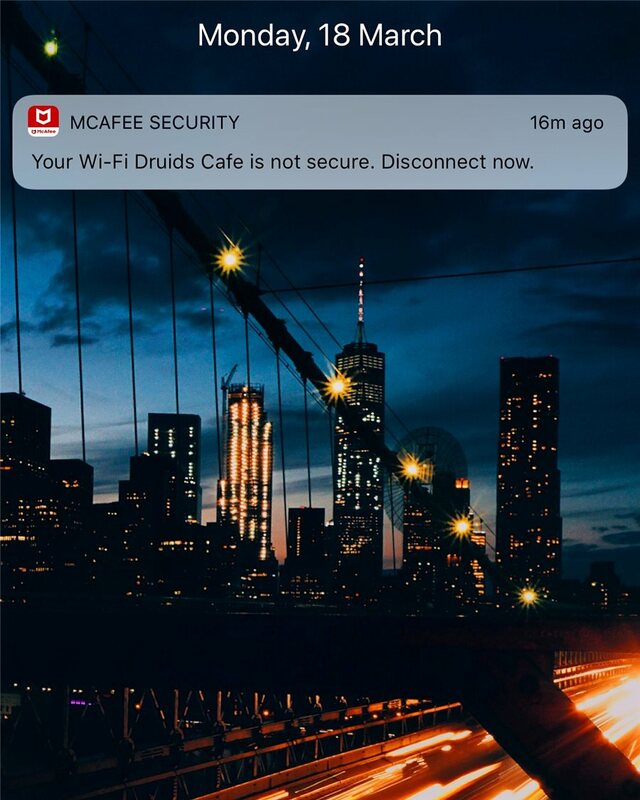 You can block these devices or when a new device tries to connect to your network. While this is cool, I have so many wireless devices at home and sometimes, it’s unclear which name corresponds to which device. 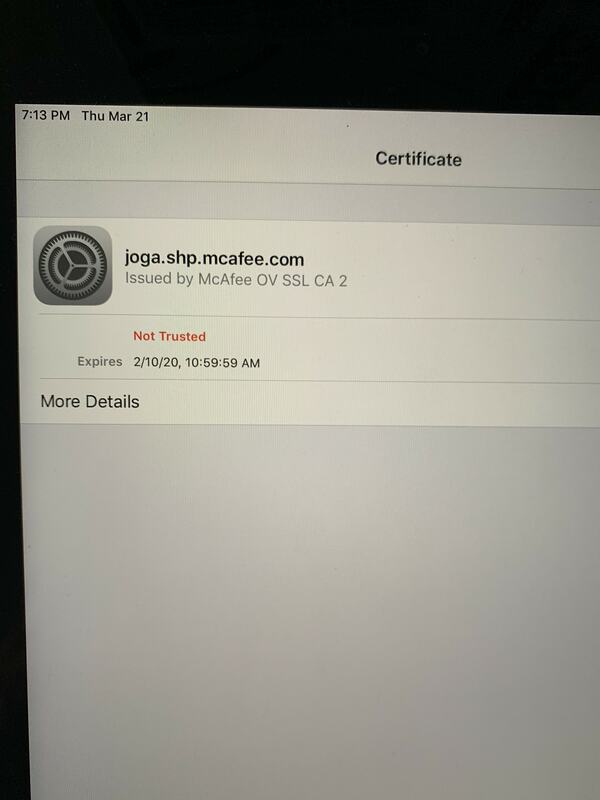 You can do a trial and error though, making sure only wanted devices are on your network. D-Link D-Fend has one of the most advanced parental controls I’ve ever seen so far in a router. For a starter, you can set up profiling for different kids, each with different needs and restrictions. You can then pick a category to block (such as Dating, Sexual Content, Social Media, etc), a specific site domain (if your kid spends too much time on specific sites), and also set specific time they can go online. While Social Networking can be blocked, it’s only when you use them with a web browser. So Facebook, Twitter, and Instagram apps will still work, unfortunately. Should someone tries to cheekily browse into blocked sites/categories, they will receive a notification on their browser. He/she can then ask your permission to unblock it. Once blocked, it will go into the “block website by specific domain” area. And when all else fails, there is always the “Pause Internet” button. That should make kids cry and force them to the dinner table, or get them off the net and do their homework. It is a much better solution than having to plug the cable out of your router! I did get some issues where not every blocked page was handled properly by the browsers on multiple devices (tested on iPhone Xs Max, OPPO R15 Pro, iPad 2018, and Windows 10). 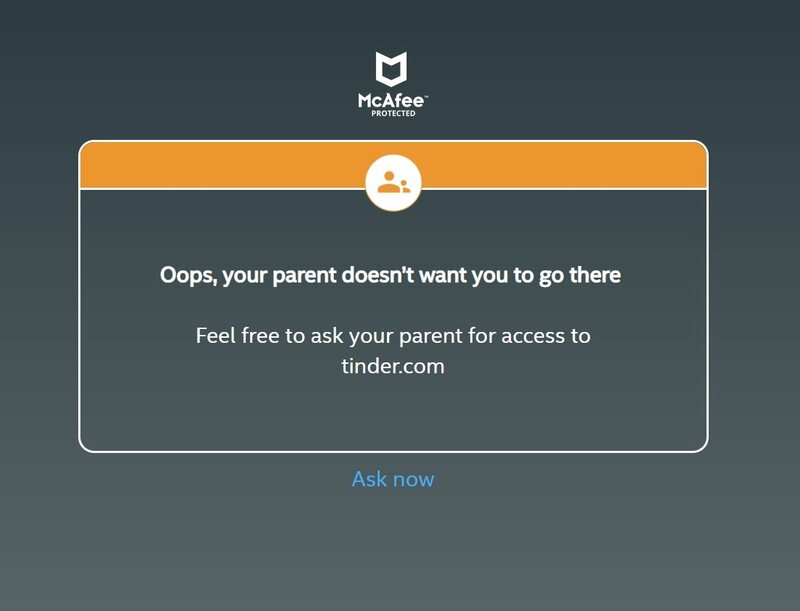 This is because the router will try to inject a parental control page onto the browser when it detects a blocked domain. Due to some certificate forwarding issue (I think it’s because McAfee page is using http and most sites are using https), you’ll get a warning from the browser instead. And worse, you can force proceed yourself to the blocked site. Note that I tested the D-Fend app on the iPhone. As soon as I installed on an Android phone, things did work better. It’s definitely quite a challenging task to tackle with multiple OS and platforms, but I’m sure this is something that can be fixed and updated in the near future. Alexa is also supported and you can access these parental controls just by using your voice alone. You can say something like “Pause the internet for Joel”, etc. D-Link D-Fend (DIR-2680) router enforces security at where you need it most: the front door. It will smartly detect threats coming to your network and block them before they actually get into your network. And surely, we can’t really trust that everyone in the family knows how to secure themselves over these threats (i.e not clicking on dodgy email links, opening email attachments from unknown senders, clicking on a pop-up window, etc). An advanced parental controls feature is also one of its treats, especially if you have kids in the family. You can block specific categories, domain, and even set when your kids can go online. It is much easier to control and manage, compared to trying to remind your kids to get off the net when they are not supposed to (or when they cheekily use them while they are supposed to be in bed). 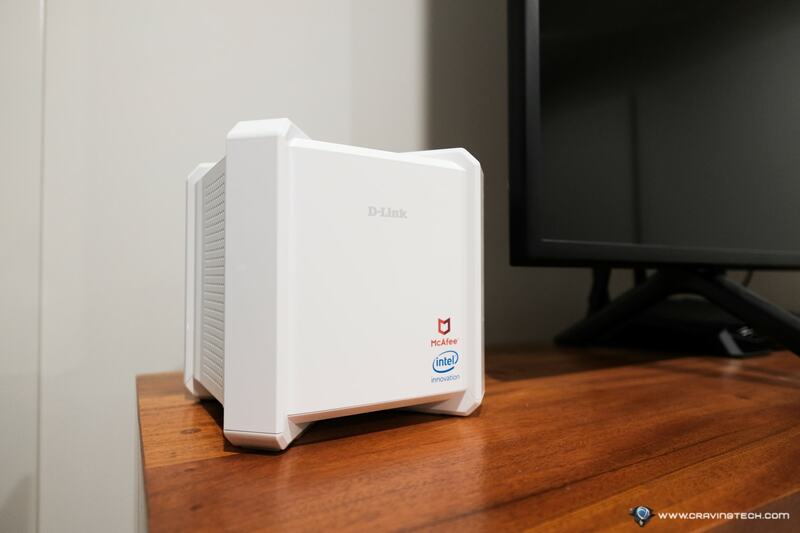 D-Fend Router has an RRP of AU$499.99 and comes with 5 years of McAfee Secure Home Platform and 2 years of McAfee Life Save.